FREE FAST shipping with ETA and personal tracking. Tens of thousands of cheap clean quality used Buick engines are ready to ship. Many of our used General Motors engines and compatible GM transmissions for younger models have low mileage. All engines and used Buick transmissions are subject to availability so call often with your VIN and the shop address for FREE quotes. From the Buick Cascada to the Regal, we have low-mileage engines at cheap prices. Our personal representatives are patient and kind affording you the time that you need. Meanwhile, we have sufficient manpower and inventory for lightening fast freight from our warehouse. Money-back guarantee is provided on select units and warranties are available for most. Call and check on yours. It’s FREE and only a couple minutes. High quality but cheap low-mileage Buick engines cut thousands off your repair bills. Get personalized attention, no hidden fees, no extra charges and no hassles. We don’t need your email unless it is preferred. We would be offended if you were not satisfied with the product, its delivery and our service. Our team is backed by 30 years experience including the in-house automotive techs who know this breed sufficient to smooth out defects from original manufacture. It happens. We remedy. Ask questions and we’ll answer. By all means, we properly test everything that crosses the yellow line in our warehouses. Your car can LAST with one of ours and a good mechanic. What Year is Your Buick? 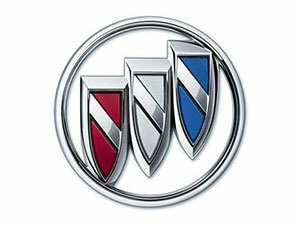 Cadillac move aside, because Buick models (like the one you drive) built the General Motors company. They’re here to stay. As Buick is the foundation to GM because of its reliability and superior handling, your Buick has been the foundation of your life. It fits like a glove and we would do anything to help keep yours running at the lowest cost. We have rebuilt Buick engines and remanufactured Buick engines that last and are ready to ship. Our in-house engineers hone, smooth and retool used Buick transmissions, too. Our inventory boasts in the tens of thousands. Shipping is FREE to US and Canada, arrival is usually about a week. Our family-owned business specializes in acquisition, repair and distribution of used power train and used drive train products for model years 2000 and younger. Sorry classic Buick fans. The age of these models would include the likes of used LeSabre engines or eighth generation LeSabre and younger. For example, if you drive a Rendezvous mid-sized crossover, you probably have a V6 petrol engine under the hood with at least a 3.4 liter capacity and either a 4 or 6 speed automatic transmission at the helm. In this case, your LA1 engine should be clocking 170 hp at 4700 rpm with 200lb ft torque at 4000 rpm. The pricier trim models included a 3.6 liter capacity V6 mated to an automatic transmission, the LY7 petrol engine with 217.5 cu in. LY7 was not always the most powerful because of the variable cam timing, but they’re great long-distance runners as typical of most General Motors engines. That’s why you own one! Call and check on the specifications for yours, because we love shop auto talk. We are and have been the top distributor of used power train products for individual drivers, DIYers and small automotive shops. Expect the right parts at the right time with cheap prices. We have been delivering fabulous service since the time General Motors claimed the roads belonged to Buick and Americans first gripped the wheel of a Century model. Which car do you have?